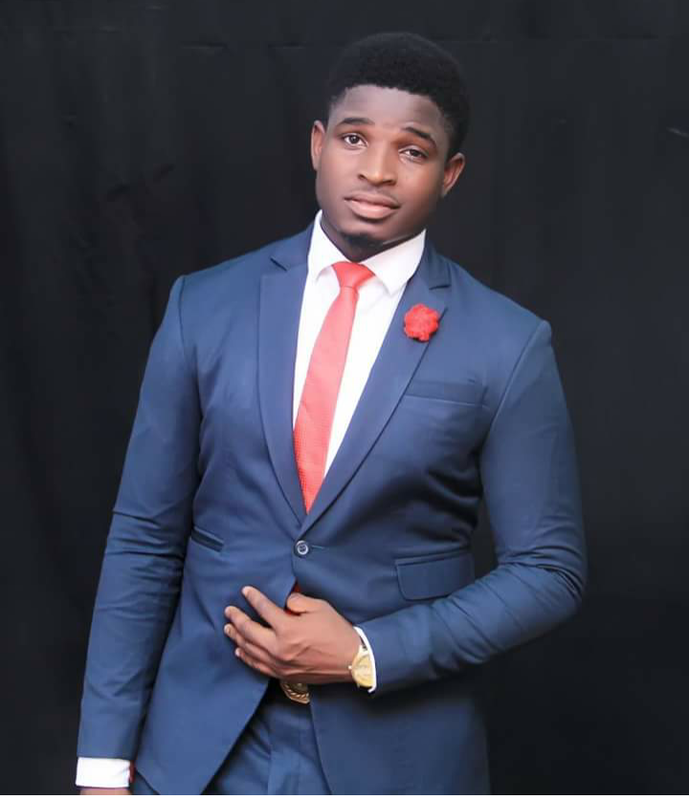 Bright Uzoma (born 30th April), popularly known by his stage name Adviser. He is a Nigerian born comedian,actor and a master of ceremonies. Adviser was born in Orlu Town in Imo State, he is a graduate of Federal University Of Technology Owerri (FUTO). He started comedy at a very young age, adviser speaking on how he started said " comedy is in my blood and i did not learn it from anyone or did i discover it,have been doing it from birth ''. 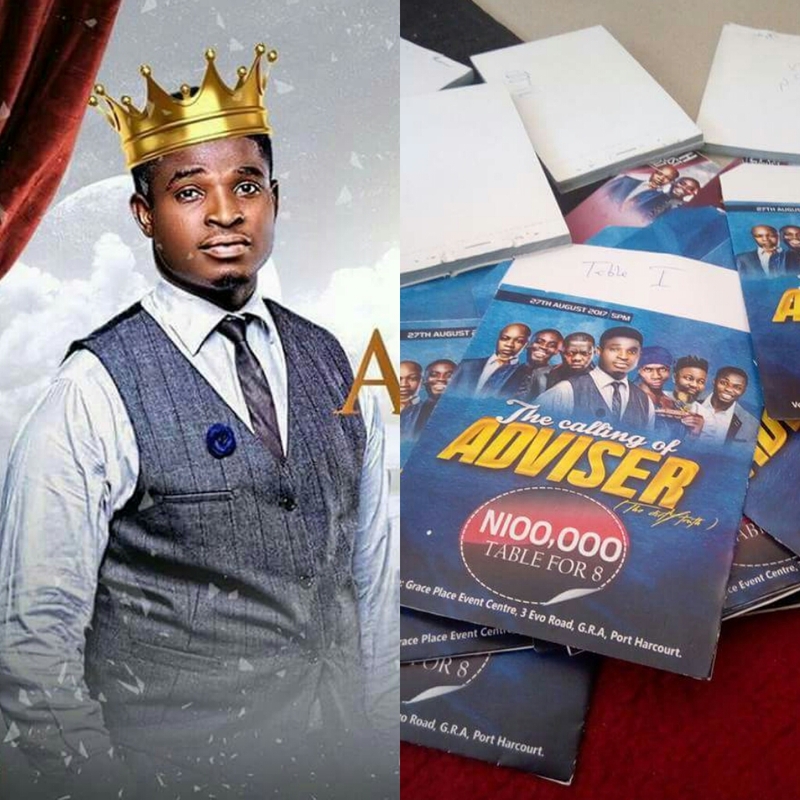 Adviser is a masterful compere (MC), Spontaneous Comedian and actor . He chose the part of comic business upon realization of how much impact and difference he can make with his Spontaneity. 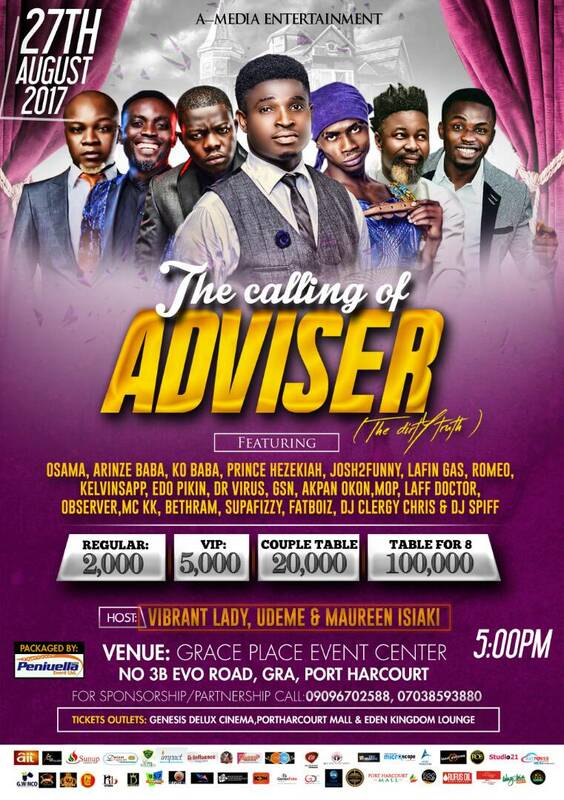 Adviser speaking on his upcoming event titled the 'Calling Of Adviser'. An Event which had it's first edition in 2016 is set to thrill the people of Port Harcourt this 2017. He said "the world of 'real men' is a world of existential reality, a world where ' self ' is manifested impactfully with a perfect measurable standard accompanied with a record of simultaneous achievement. He went further talking about getting less support from people and the lack of understanding of showbiz, in his words he said ' it's sad that some people around you still don't see showbiz as an investment directed towards any form of returns. The tickets you want to sell are mistaken for INVITES. They even call you with all the confidence in the world saying "Adviser how come i am yet to get my invite to your show? Also speaking "Anyways lets make it easy for each other in order to have a successful show on Sunday, 27th August, 2017. so those of you calling me to ask for free tickets to #TheCallingOfAdviser, please visit any of our ticket outlets with your ID card and a copy of an Essay on "How i helped ADVISER's Career over the years" to get your tickets. Dont forget to show them a flyer of me on it as a proof that you have a personal relationship with me" . Still speaking 'This is also not forgetting those who are entitled to some complimentary tickets with a MAJOR preference of seating on the tables, kindly come with extra 7 friends each to make it a complete table' .
' The Calling Of Adviser' . The Calling Of Adviser 2017 is another edition of the most creative comedy event in Nigeria . The event is slated to hold on Sunday, 27th Day of August, 2017 at Grace Event Place #3b evo road, gra Port Harcourt by 5:00pm. Live in performance will be both upcoming and renowned comedians in Nigeria!! !